Most of the intrepid users who tried the most recent Android N developer preview were none too pleased with the new notification toggle behavior. Google changed the WiFi and Bluetooth buttons from simple toggles to connection list triggers. After more than 1,500 issue tracker stars in just a few days, Google has relented. According to a project member posting on the issue tracker, the development team has fixed the defect. In this case that means going back to the standard toggle behavior for WiFi and Bluetooth. In the full quick settings, these buttons still open the details pane. 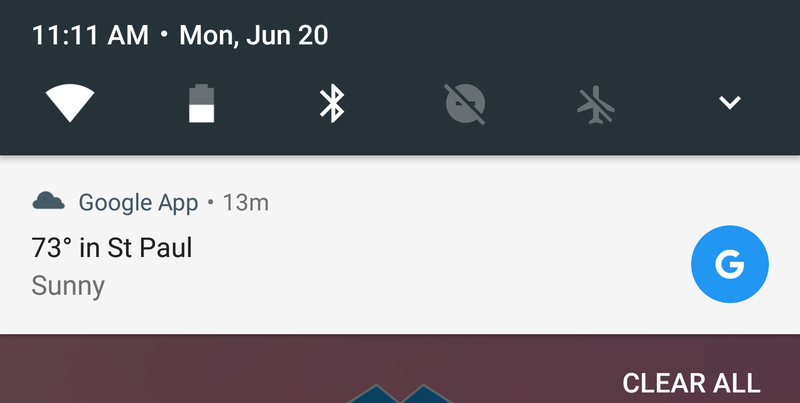 Another change: if you've got the cell connectivity icon in your mini quick settings, that icon will open the detail pane. If you're using DP4 right now, you'll have to cope with the strange toggle behavior for the time being. These changes will be available in the next preview build in a month or so. The fix is officially live in Android N Developer Preview 5, which rolled out yesterday. Now tapping the WiFi or Bluetooth toggles will actually toggle them instead of opening the mini settings modal.